"I just wanted to thank you for great customer service. I continue to use Sign-A-Rama because opposed to other sign companies, I can get estimates, proofs, and changes made quickly which makes my job easier." 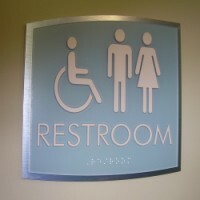 Contact SIGNARAMA today and let us help you with your Tactile & Braille compliant directional signs and graphics.